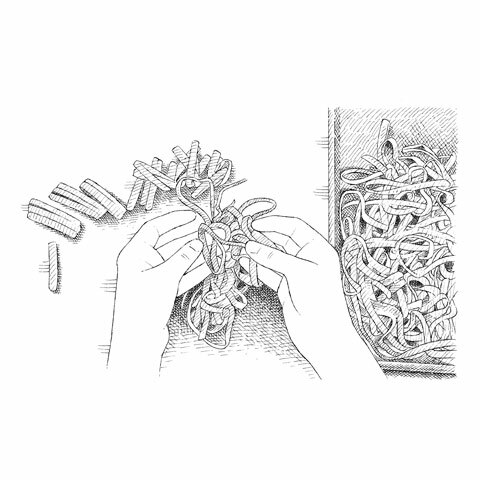 Crafting fresh noodles at home is much easier than you think. For the home cook, the idea of making homemade noodles may sound intimidating. 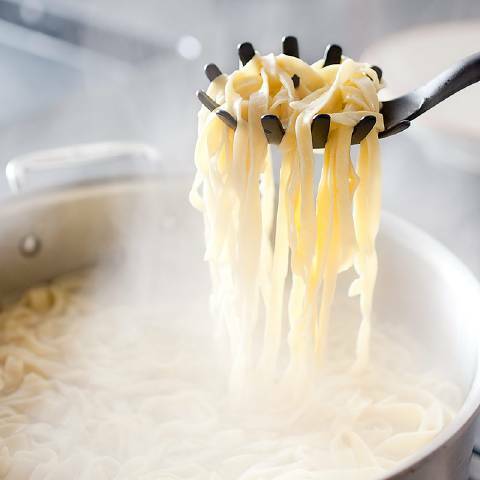 But starting noodles from scratch is actually incredibly easy: Our recipe for Fresh Pasta Without a Machine doesn't require any specialized equipment, and it only requires four everyday ingredients (flour, eggs, olive oil, salt). Moreover, using fresh pasta makes a world of difference when it comes to turning out an all-star dish. For a pasta dough that could be easily rolled out by hand (but still cook up into delicate, springy noodles), we create a super-malleable dough that doesn’t snap back when you roll it. A generous splash of olive oil coats the flour proteins and limits their ability to form gluten so the dough stays more elastic. We also mixed in six extra egg yolks. Yolks are loaded with fat and emulsifiers that also limit gluten development—but because their proteins coagulate when heated, adding structure, they ensure that the pasta is strong enough to stay intact when boiled. Additionally, we incorporated an extended resting period to allow the gluten network to relax and developed a simple, effective rolling technique (which we outline below). 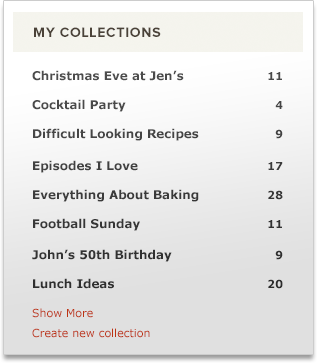 After that, all there's left is dividing the dough into small, manageable pieces and working with them one at a time. Here's how. 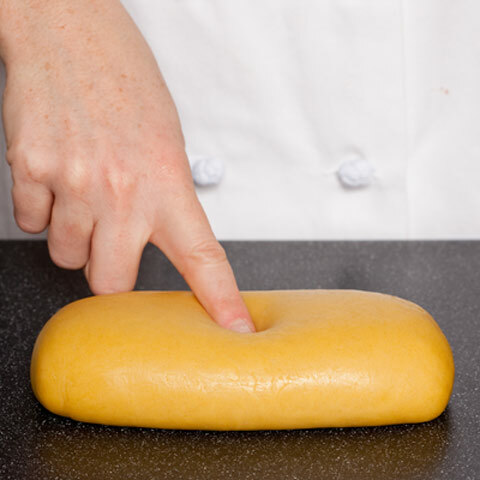 Shape the dough into a 6-inch cylinder; wrap it in plastic wrap and let it rest for at least 1 hour. Divide it into 6 equal pieces. Reserve 1 piece; rewrap the remaining 5. Working with the reserved piece, dust both sides with flour, then press the cut side down into a 3-inch square. 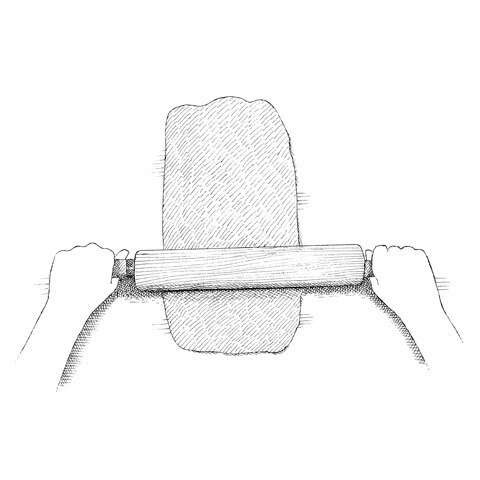 With a rolling pin, roll the dough into a 6-inch square, then dust both sides again with flour. Roll the dough to 6 by 12 inches, rolling from the center of dough ­­­­one way at a time, then dust it with flour. 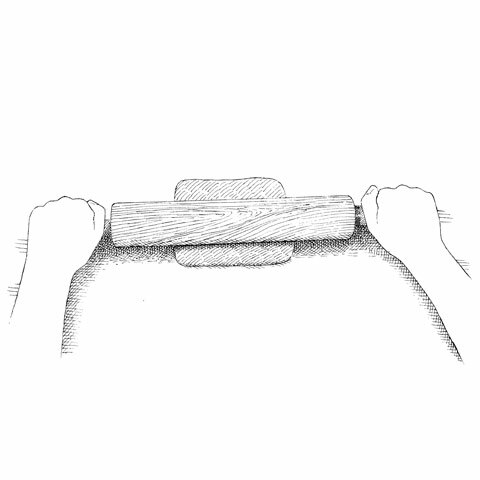 Continue rolling until the dough is 6 by 20 inches, lifting it frequently to release it from the counter. Transfer the dough to a kitchen towel and air-dry for about 15 minutes. 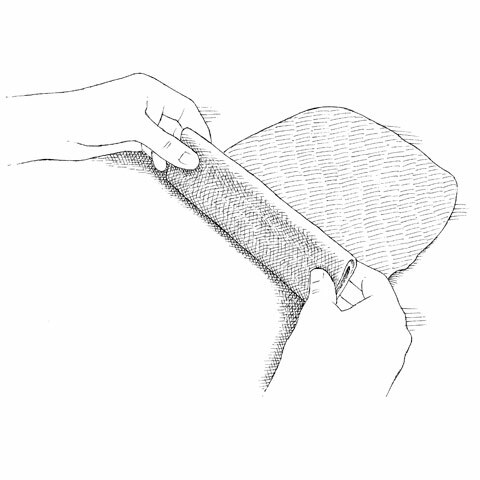 Starting with the short end, gently fold the dried sheet at 2-inch intervals to create a flat, rectangular roll. 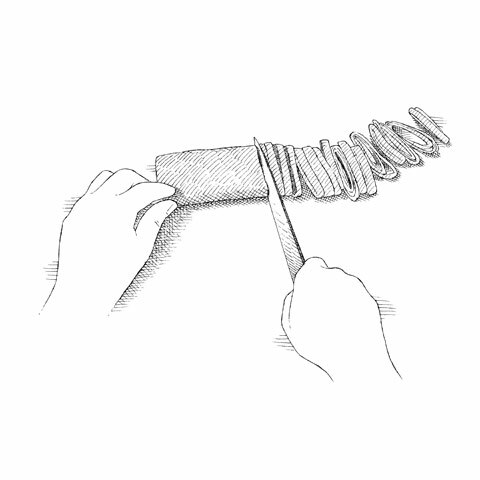 With a sharp knife, cut the dough into 3/16-inch-thick noodles. Use your fingers to unfurl pasta, then transfer to a floured baking sheet. Pasta made from scratch delivers eggy-rich ribbons with springy yet delicate chew.